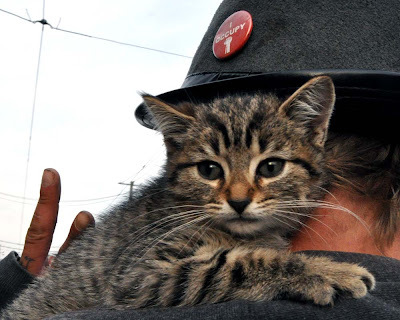 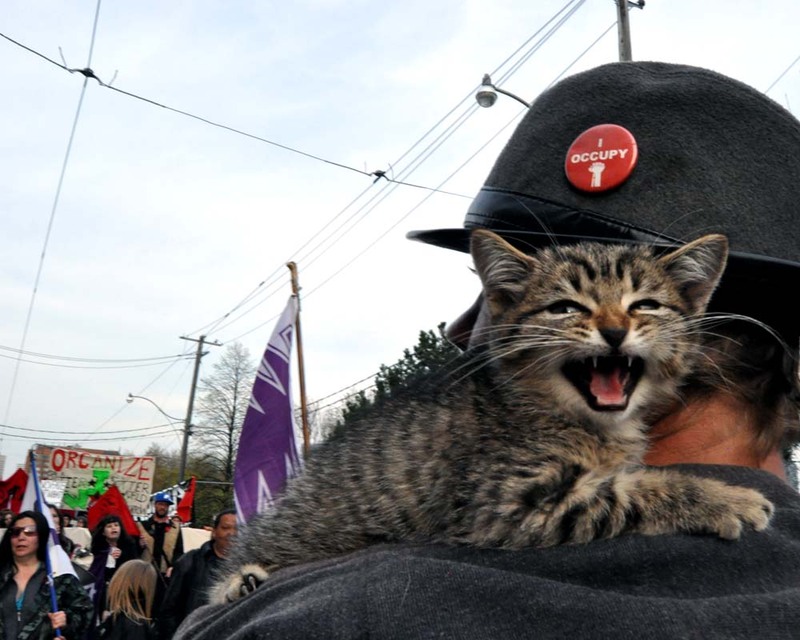 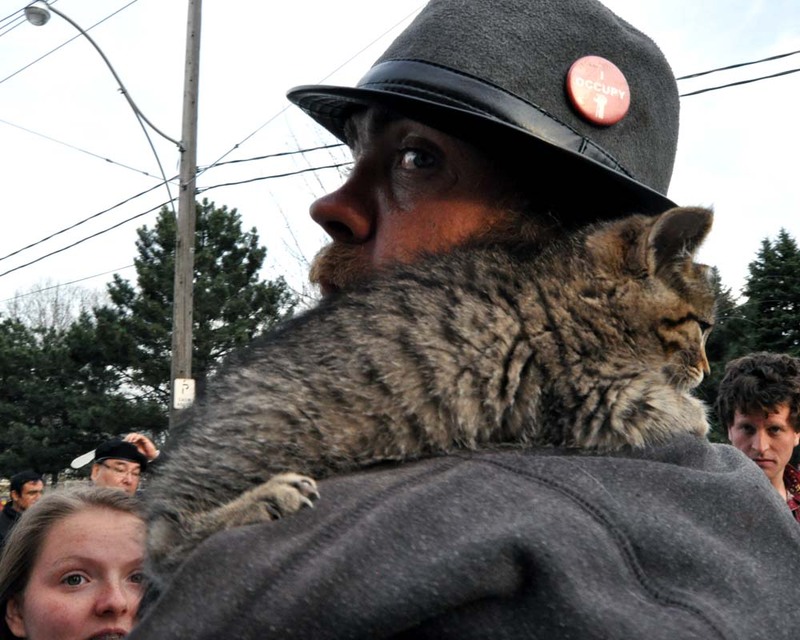 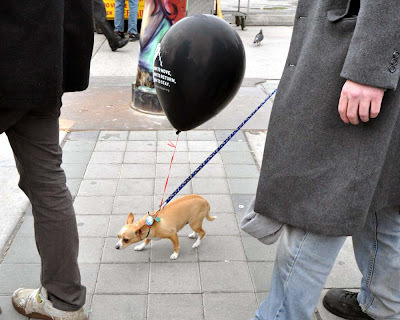 Joining the occasional #Toronto Mayday #May1TO #Occupy dog protester, some with balloons or bandannas, I found a little protest kitten on the shoulder of a protester. 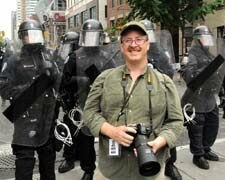 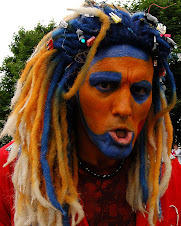 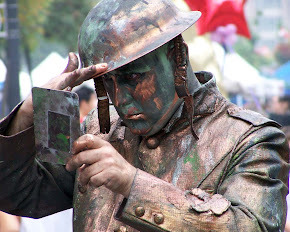 He wasn't wearing a mask so I don't think he was Black Bloc or anarchist - I think like the button on the guy's hat, he was an Occupy Kitten. Pass the kitty chow and down with the tabby!